Q: Drop down menus I have created with your product DHTML Tuner don't look too good in FireFox... is there something I can do different or do you have a newer/better solution that would work for both IE and FireFox? A: And what exact problems do you have in Firefox? Actually Deluxe Menu works fine inFirefox. But notice that filters and transitional effect are supported by IE5.5.5+ only. Q: I got it working however I have an additional question. How do I allocate the width of each "button" see sample how for instance the "FAQ" button is so narrow compared to others. I tried adding spaces with no result. 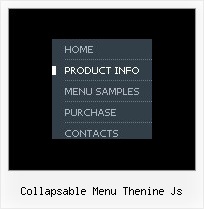 A: You can use Individual Item Styles to set exact width for the menuitems. Q: Please go to my website. I'm trying to getthe dhtml popup menu aligned to the right. I thought I could trick it by telling the CSS to alight the text to the right but that didn't work. Can you make a suggestion on how I can do this? 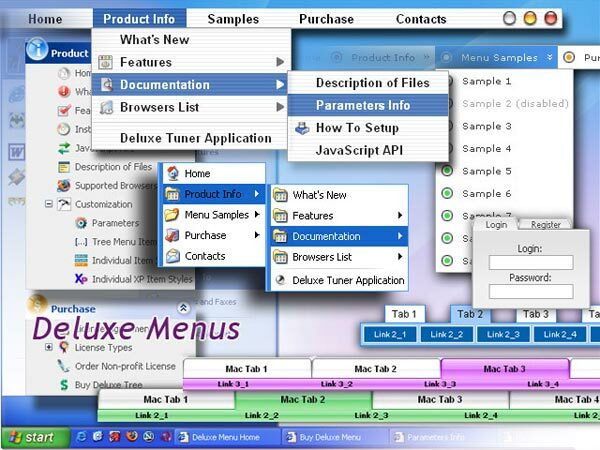 Q: I have just bought the software and created a first menu. As you can see the sub-menus appear away for the menu/navigation bar. This doesnТt happen when I put the code into an .html file without any divs. Can you suggest what the problem might be here? A: The problem is that the script can't get css properties of the object if they are described in separate .css block (or file). Needing Suggestions for What should a 6 month old baby eat?